The compressor has a field effect transistor (FET) that uses as a voltage-controlled variable resistor as oppose to a opto, or VCA type compressor. The ratio options are 4:1, 8:1, 12:1, or 20:1. You also have the option of pressing combinations of buttons to provided different responses as well. I own a 6176, an LA2A (all amazing pieces of gear) but the 1176 is my all time favorite UAD product. It just works every time. It delivers punchy vocals for rock and I can drive it super hard, yet it's always musical. My Favorite Compressor/Limiter of ALL! Awesome on Electric Bass Guitar & Soft Ballad Vocals with a Low Comp Ratio & awesome sound just through the box even with Compresor OFF. *Commercial Release Producer / Engineer 15 years - Student of Bruce Swedien. 1176 is my all time favorite UAD product. Punchy vocals is sugar! another great UAD emulation! The sound you've always wanted !!!! The 1176LN is indeed a true classic. The special "british" settings where you'd push more than one ratio button at a time are definitely the highlight of this device, since I have the strong feeling that no software solution comes cloes to this particular sound. It's not that standard drum destroyer thing - that can be done with a Valley People Dynamite much more efficiently. But if you want to get more depth out of crunch guitars, more consistency from drum room mics or simply more level and punch from lead vocals, nothing comes close to a real 1176! Only drawback on my unit: it seems to have an electrical issue - sometimes audio simply stops passing through I had it at a repair shop two times already, they couldn't find the culprit yet... Sad, since UA is known for good build quality otherwise... Hoping for a solution in the near future... One last word: 1176 are not everybodys darling. Eighter you love it or you can't get a good sound from them. I love it! Easy Of Use!!! But Perfect Sound Quality!!! Ehi guy, this is a 1176....One of the Compressor with the "C". Is a wonderful unit.......what else? This unit makes anything sound great!! Do I have to say anything about 1176 ? 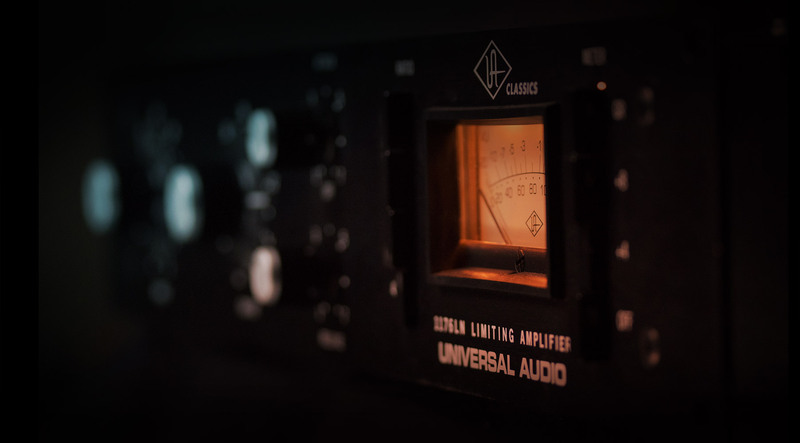 The ua plugins of this version are really nice and very useful, but once you hear the real deal trust me you'll see why the hype of this specific and legendary piece of gear. Buy one if you have a pro studio set up dont waste your money if you only have a computer and two monitors! Very useful piece of gear! Sounds great. I like color of 1176. This is my first piece of analog gear. It truly is a wonderful addition to my studio. Sweet sound! Been lookimg for this all my life!!! Like the title says.... as soon as I ran some audio through this baby I just new I found the last piece of my puzzle. Been producing at home for 20Yrs and I can't believe its taken me this long to try one. Recommend Recommend!! I have used the 1176LN hardware for about a year now and it has breathed new life into my mixes and recordings. Its great on just about everything, a real work horse.